CenterPoint Energy began its natural gas initiative in 2011 and expects to have 85 natural gas trucks, mostly ½-ton pickups, by the end of 2013. A growing number of fleets have discovered that, in the right applications, it pays to go green. This is especially the case for those fleets converting to vehicular natural gas, which offers savings as much as $1.50 per gasoline gallon equivalent (GGE) and $1.65 per diesel gallon equivalent (DGE), based on the latest alternative fuel pricing data from the U.S. Department of Energy (DOE). The low prices are being driven by the fact that the fuel is produced and readily available in the U.S.
A clean-burning fossil fuel comprised mostly of methane, natural gas can be used in gaseous (compressed natural gas/CNG) or liquid form (liquefied natural gas/LNG) to fuel cars and trucks, while reducing smog producing pollutants by as much as 20 to 45 percent, according to the DOE. 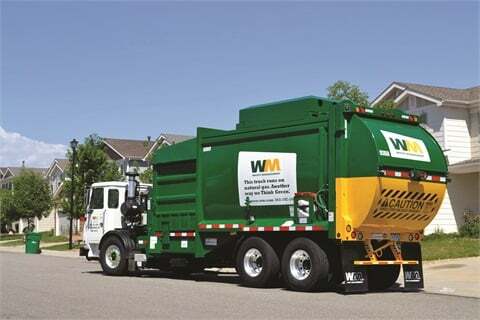 Waste Management operates 2,500 Class 8 refuse collection trucks powered by compressed natural gas (CNG), which represents 15 percent of its total fleet. 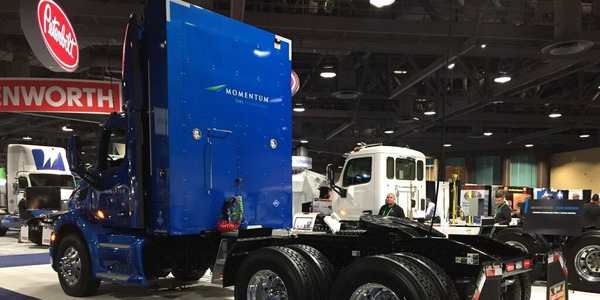 “Compared to diesel, every natural gas truck we put in service saves us $30,000 every year in fuel costs,” said John Lemmon, director of fleet & logistics with Waste Management, a provider of comprehensive waste management services in North America. 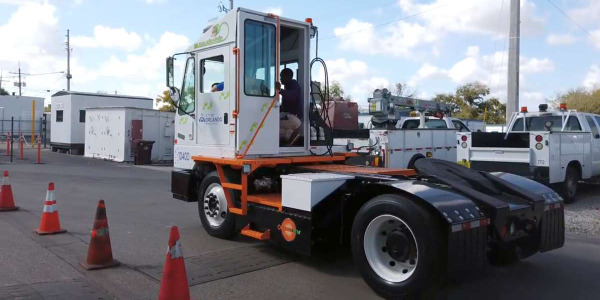 The company operates 2,500 Class 8 refuse collection trucks powered by CNG, which represents 15 percent of its total fleet, with approximately 90 percent of all new truck purchases being natural gas vehicles (NGVs). This is the most important factor to consider. If there’s not sufficient and affordable access to the fuel, natural gas won’t be practical. 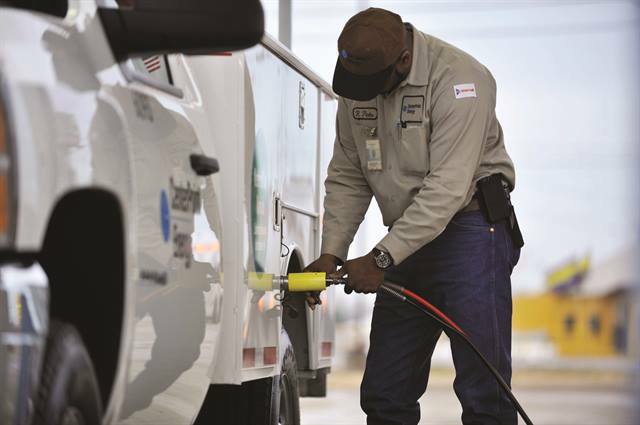 “We’re converting vehicles to CNG for the fuel-cost savings, but we’re also making sure the vehicles are operating out of a service center where there is nearby fueling infrastructure,” said Ana Hargrove, sales manager, Texas region for CenterPoint Energy’s natural gas operations. Headquartered in Houston, CenterPoint Energy began its natural gas initiative in 2011 and expects to have 85 natural gas trucks, mostly ½-ton pickups, by the end of 2013. Hargrove said that CenterPoint opted for a bi-fuel configuration, which enables trucks to operate on either gasoline or CNG, instead of a dedicated system, which operates exclusively on natural gas, to extend range. 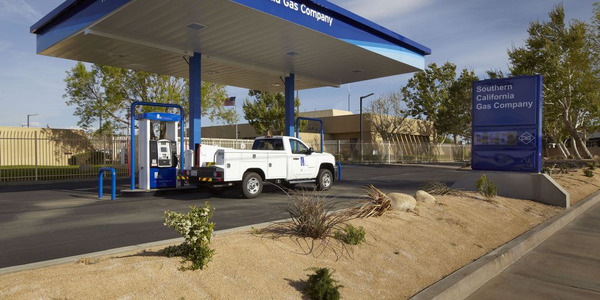 To reduce reliance on public access stations, some fleets, such as Waste Management, have installed fueling stations onsite. This enables the trucks to be fueled overnight, with sufficient range to cover the next day’s routes without the need to refuel during the day. But, onsite natural gas refueling comes at a price. “Depending on the size [of the fueling station], it can run from $750,000 to $3.5 million,” Lemmon said. 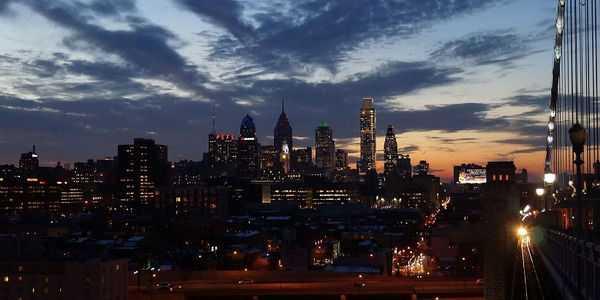 To help recoup some of that investment, about 40 percent of Waste Management’s fuel sites offer public access, at locations where it’s feasible to do so. 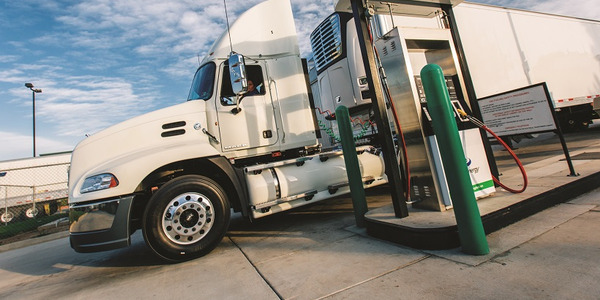 According to Scott Perry, vice president of supply management for Ryder, available fueling infrastructure should also be considered when evaluating whether to convert to CNG or LNG. The Ryder fleet operates approximately 380 natural gas vehicles (NGVs), with the expectation of exceeding 1,000 units within the next 12 months. Will the vehicle be operating sufficient annual miles or hours to recoup the extra $10,000 to $30,000 natural gas conversion cost, depending on truck class and configuration, within a reasonable time frame? “For most of our applications, Class 8 tractors down to 19,000-lb. 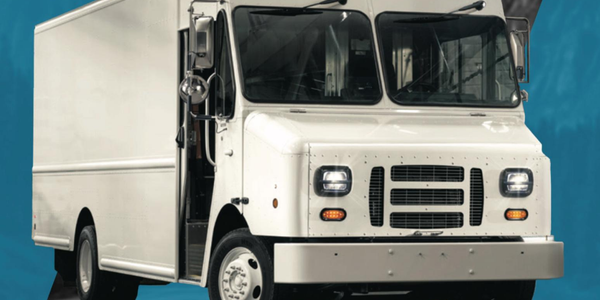 GVWR medium-duties, the incremental cost is a 40- to 60-percent premium, compared to a traditional diesel-powered truck. But, we have had some configurations that resulted in the price premium being 100 percent of the base price for the comparable diesel product,” said Perry with Ryder. The Ryder fleet operates approximately 380 NGVs, with the potential to surpass 1,000 units by the end of 2014. There are several fleet applications that are a good fit for natural gas. 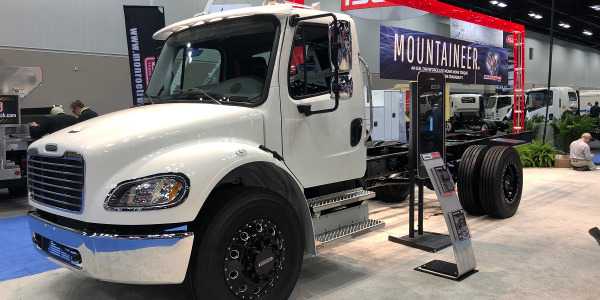 “If you’re making an economic decision around the cost savings between diesel and natural gas, you’ll generally gravitate towards a higher mileage application. This includes a regional delivery or long-haul delivery application, or a very high-utilization vehicle that will do multiple shifts — five to six days per week — when you’re able to drive a tremendous amount of fuel consumption for those assets,” Perry said. For Ryder’s natural gas Class 8 tractors, the sweet spot is about 65,000 to 75,000 miles per year on a traditional configuration for fuel storage. “If you have to add fuel storage onboard, the annual mileage threshold may have to increase. Fuel storage is the biggest driver we’ve seen with the overall cost of these vehicles. The engines themselves have a premium, but the fuel storage itself is the real driver on how big that delta is,” Perry explained. 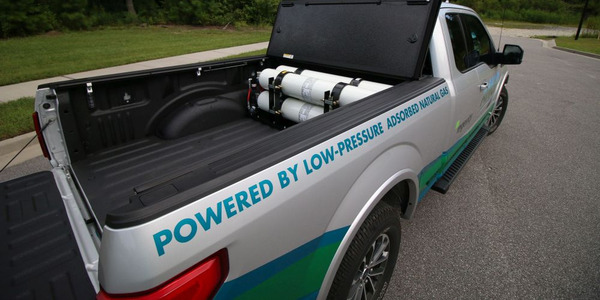 According to Hargrove, CenterPoint Energy’s threshold to consider natural gas is a minimum of 15,000 annual miles with its light-duty pickups. 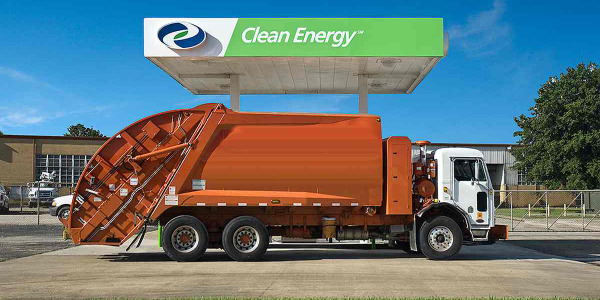 Lemmon with Waste Management said the company’s CNG refuse trucks, with heavy-duty stop-and-go operations, offer a payback from fuel savings within three years, compared to similarly spec’ed diesel trucks. Are there maintenance facilities within a practical distance that are qualified to work on natural gas vehicles? Some fleets opt to upgrade their own shops to work on their natural gas vehicles, but at a steep price tag. Lemmon with Waste Management agreed. What about using external maintenance providers? “You need to do research to make sure the shop has a staff fully trained on the management and handling of natural gas — and the facility is upgraded to manage natural gas vehicles,” Lemmon advised. Is there government money available to help fund the fleet’s NGV initiative? While federal rebates and incentives for natural gas vehicle conversions have, for the most part, dried up, there are several state and local governments offering financial assistance to fleets to convert vehicles to natural gas, defraying some of the conversion cost and accelerating payback. According to Hargrove of CenterPoint, local tax incentives allow companies to accelerate their deployment efforts. “We started our NGV initiative a few years ago primarily in Oklahoma and Louisiana, because those states had very attractive state tax incentives. In some cases we were getting 50-percent tax credits. So, if the conversion kit was $10,000, we were getting half of that back, which has helped shorten the payback period,” she said. Training is an important factor to ensure driver acceptance and safe operation of NGVs. “It’s important to have your drivers onboard, that they fully understand how the vehicles operate, and know that natural gas is a very stable and safe fuel, but require some special operating habits,” Perry said. Ryder has developed an online training tool for fleet customers that addresses how drivers interact with natural gas vehicles. “This includes how to fuel the vehicle, how to interact with the fuel station, and how to utilize the fuel dispenser because it’s a much different apparatus than a traditional diesel product,” he said. Having thought through these five factors, does it make practical and economic sense to convert to natural gas? Sometimes the answer, clearly is no, but this is why the factors have to be examined, according to Perry of Ryder. “When you line up the pros and cons, many times it points to a decision to move forward to a conversion from diesel to natural gas,” Perry said.